Factory German 9mm HK MP5 MP5K Ambi Navy Pack converted to semi by Beltfed Precision Products to Ambi FBI Semi (0,1) trigger pack with new precision semi auto sear spring and spacer. These look fantastic and are to perfect for your build. 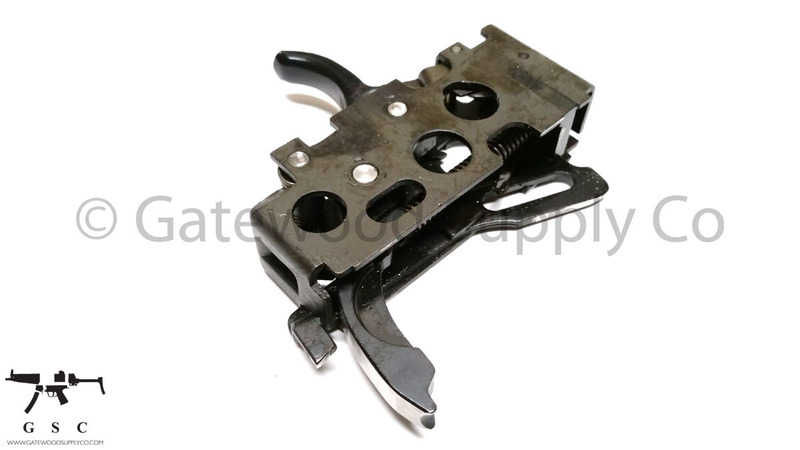 Easy to swap over to any other caliber, just swap ejector levers and if needed, hammer spring. This is not a modified SEF pack or a US made clone. Perfect for your build and to use with the modern Ambi pictogram packs. 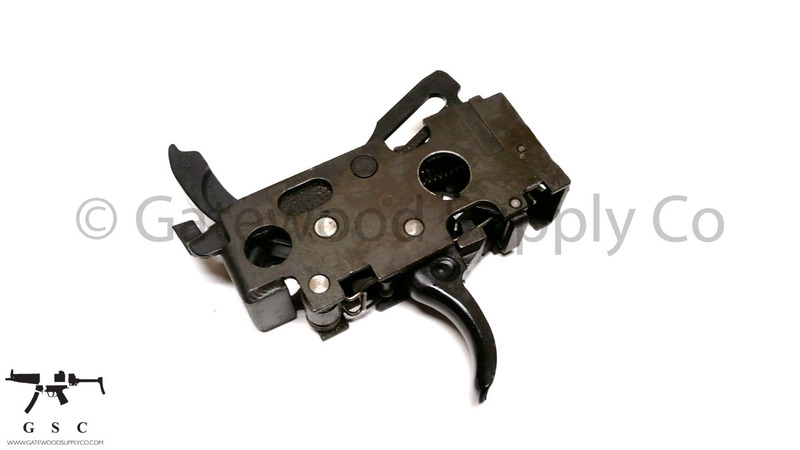 Note this is not compatible with SEF Housings or selectors, only AMBI pictogram type lowers.